I purchased "Synthjacker" IOS Auto-sampler to make sampled instruments for AudioLayer and NS2. For those targets you must use the Metadata in the Filenames. I have a good workflow going with AudioLayer using AU Apps. But Synthjacker also generates a fundamental SFZ file with every auto-sampling run. It can auto-sample external MIDI equipment, Loopback to any IOS App with an audio interface or host AU Apps. I think SFZ's are also supported in StageLight and AEMS so testing that would be great too. I tried my packaged zip in AEMS and "nova" (no go). I have tried to package the samples and SFZ file into a Zip using AudioShare and adding it to the Auria Pro Sampled Instrument folders but the samples do not produce sound. The sample files are in AIFF format. Is that a problem for Lyra? I have asked the developer @coniferprod to consider optionally generating wave files which might expand the potential for use cases (create a folder of the Drum "notes" in a BeatHawk instrument, etc). Any help appreciated. Lyra is the best disk streaming Sampler on IOS and being able to use an auto-sampler app on IOS with it would bring many new users to the Auria Pro community. @jwmmakerofmusic has requested on the Auria Pro forum that @WaveMachineLabs consider producing an AUv3 instance of Lyra. How cool would that be? family because this form of "sampling" requires great audio sound engine skills and Auria Pro is the champ at managing pure audio. Anyway, any help getting these SynthJacker AIFF samples to load up in Lyra/Audio Pro appreciated. The developer tested it and I think it worked before and now it doesn't. @McD : if you haven't fond do, you might want to post a query about why your sfz files aren't working over on the Auria Pro forum. Someone is likely to know the answer. Am I understanding that you put a zip file in Auria's Sampler Instruments folder? All my sfz instruments are in folders that contain the sfz and the folder of samples. Lyra can play aif files. An sfz is a text file. You might want to peek inside and see if there is something funny about the file paths. I started my testing by just moving the folder of samples with SFZ description file into Auria Pro's "Sampler Instrument" folder structure and when that didn't work I researched "Import sfz into Lyra/Auria Pro" and found the ZIP the files using AudioShare and moved the zip file after removing .zip and adding .sfz. Most downloadable SFZ sound fonts are shared in that format as pre-packaged ZIP archives using the .sfz file extension. that the SynthJacker SFZ file needs additional metadata or re-formatting to work. Has any got a SynthJacker SFZ file import to work in any App? @McD : open the sfz file in a text editor and see how the file paths are listed. I have had to edit some sfz files to make their file paths match what I needed. The relationship between the sfz file and the folders makes a difference. I have put quite a few sfz instruments into Lyra always unzipped. I have done that. The sfz uses a listing of sample filenames without path and it's co-located with those samples. I think that's kosher but maybe not. Is there a trick to open a file with an .sfz extension in a text editor on IOS. I had to use the MacBook to open the file and OS X didn't make it easy until I changed the extension to .txt. It should work. Open a support request. I'll give the developer and the user community a week to determine the problem. I think I'll start looking into some more SFZ files to understand that better. Maybe I can make an SFZ file with the right paths and any other critical metadata. The AIFF files are not the problem here. Maybe packaging as an SF2 is a workaround. Audio Evolution Mobile Studio doesn't open the SFZ either. to point at a list of samples. (I miss Un*x/Linux and the power a user has to do simple file analysis and transformations quickly. 90% of Linux lives in the OS X "Terminal App" which is the main reason I bought a Mac). Using IOS for problems like this is like going backwards to MS DOS. @mcd: just confirming’p: your sfz file is in the same folder as the samples themselves. The samples are not in a folder that is at the same level as the sfz. That's the way SynthJacker presents the results in it's "On my Ipad/SynthJacker" folder. Oops. SF2's are not text editable file. I forget. You need Polyphone on a Mac for example to open and modify the SF2 archive. It's my intention to have a workflow for auto-sampling that doesn't require a desktop/laptop step. Sounds like you should take Corey up on his offer to look at one of the instruments that doesn’t load. NS2, BM3, AEMS and Stagelight users for auto-sampling before someone else enters the ring for easy sampling on IOS. I have proposed several features to the developer and estimated the App value and hopefully that will work to build momentum. What else would be nice to have? In this case, the sequence name was "K5SeqBass", and the SFZ file was called "K5SeqBass.sfz". Other folder structures besides "Flat" are only intended for Nanostudio 2 / Obsidien, and shouldn't be necessary with Lyra. As far as I know, Lyra should read AIFF files. One more thing: please don't mix up SFZ (ess eff zed) and SF2 (SoundFont 2.0) files. Currently SynthJacker does not support the generation of SoundFonts, but maybe in the future. The SoundFont file has all the sample files "baked in" the binary format, whereas SFZ has a separate descriptor file. 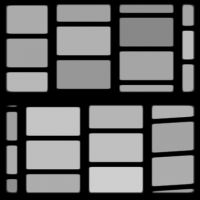 It is easy to produce, and gives many SFZ-capable apps a way of automapping the samples. "On my iPad/Auria Pro/Sampler Instruments/Piano/MyPiano"
I think I need to have the folder name match the naming of the sfz and samples. AudioLayer at the same folder and it builds a piano based on the filenames. Maybe someone will find the clue. I'll try some less complex instruments change something since everything I'm doing is how it should work. NOTE: I also loaded some SFZ's from the internet into Auria Pro and they don't play either. Could be their issue but I have other priorities myself. Just a nice to test and document status for the app before reviewing and sending someone down this rat hole. That's usually where the negative reviews come from. Some small bug that's important to that buyer who thought it would work. @mcd: many downloaded sfz's have problems in the paths used for the samples. For instance, many use absolute paths or Windows paths. Mac and iOS use UNIX style paths. I've had to tweak many to get them right. I already responded to your post in the Auria forum but I believe it’s necessary to post also here so other people following the thread are aware of the issue’s root cause. The good news is that I found the issue that is preventing the SFZ generated by Synthjacker to work with Lyra: it’s the file format of the audio files. Well, that format is not readable by Lyra Sampler, since it’s not actually an AIFF file but a CAF file. I renamed the coverted files (AudioShare will append a “-converted” string to the file name) and replaced the original ones. Then copied the folder with all the new files (including the SFZ text file) to a user folder in the Sampler Instruments folder in Auria Pro and the instrument was perfectly recognized by Lyra and works as expected. So my suggestion for @coniferprod would be to take a look at the file format and see if it’s possible to change the output file to real AIFF or WAV format to improve compatibility with most SZF samplers. Thanks for the detective work! At some point I moved to using AudioKit for the AIFF file handling, and it seems I have either misused it, or it defaults to CAF at some point. That explains a lot actually... Will be looking at this issue, thanks again. Any idea if Auria Pro would support Core Audio Format files if they were actually named with the .caf extension instead of .aif or .aiff? Although I'm not sure if the SFZ specification does, so that may be a moot point. Maybe the best is just to ensure that SynthJacker outputs regular AIFF files (and hopefully WAVE also in the future). At some point I moved to using AudioKit for the AIFF file handling, and it seems I have either misused it, or it defaults to CAF at some point. That explains a lot actually... Will be looking at this issue, thanks again. It would be great if you can keep this option and add more file formats and let the user pick one in the settings. There might be benefits to 32-bit LPCM "CAF". It's amazing that AudioLayer just accepted them if this is a new of edge case format. 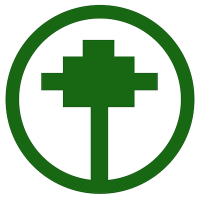 Perhaps @Virsyn is using similar tools for reading/writing files and it accepts Wave, CAF, De-CAF and Herbal formats and just does the right thing. I'd like to see the change in file sizes with some of these bit-size options. always seem to step up to insure developer's have an uphill battle to make a living. solve problems and provide good value. It's hoped that they make AUv3 and other challenging implementations less difficult for the small development teams and solo players. Can you keep this file option as an option until we can see if it has unintended benefits? file conversions to your roadmap or in another product. I had no idea AudioShare could be a solution, so, this was actually useful for me to understand my tools. I've been using AudioShare for over a year but this never came up. I'm thinking that maybe there should be an output file format option with CAF, AIFF, and WAVE. Interestingly, CAF does not have to be compressed, but it is sort of the recommended format on iOS, so either way should be fine, and I would obviously like Auria Pro to support it too. But this is not the only issue that can be solved by providing a few strategic options (like we did with the file naming for NS2 imports). I just tested changing the file extension but it doesn’t work, Lyra doesn’t even see the file, so I guess .caf files are not supported. It seems it’s actually a “compressed” AIFF file, which should be named .aifc according to the AIFF specs. 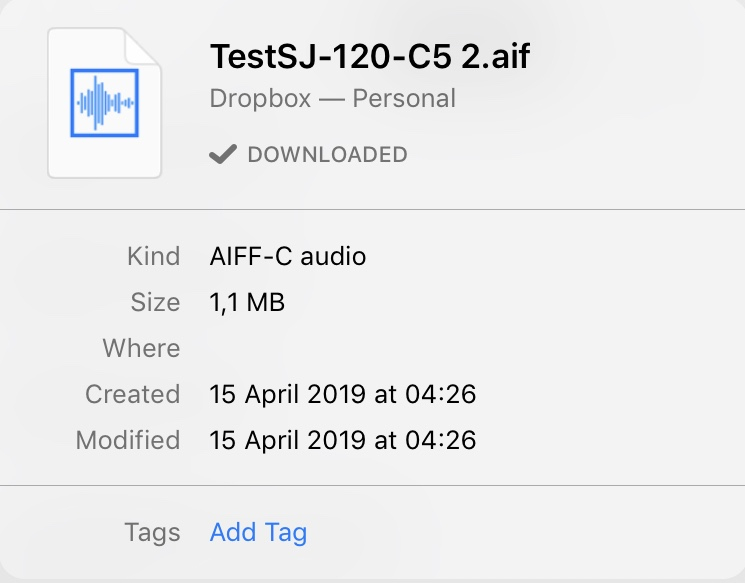 I’ll check the .aif files after lunch with an audio editor in my Mac, I’m using just my iPad at this moment and to my knowledge there’s no advanced audio tool available that can show more details about the file format. @coniferprod : I think you will find that for Pro-ish audio way or aif are preferred even on iOS. Particularly for samples. So, I'd highly recommend giving a format option. 24-bit or 32-bit WAV would be perfect. This way they can compressed elsewhere if needed. How many file formats does AudioShare support? Did you know he wrote and co-owns Gestrument? I didn't. I need to look at the file conversion options and workflow for batch processing in AudioShare. I thought there were batch file processors on iOS, but I could be wrong. I've been looking at the SynthJacker output file formats, time permitting, and here's something interesting: it seems to be pretty difficult to get Apple's AVAssetExport APIs (which AudioKit also relies on) to produce uncompressed AIFF files. Actually SynthJacker has always produced AIFC files, and I tested importing to Lyra very early on, with no problems. I still have the original files from that session, and they're indeed AIFC. They were exported straight with Apple APIs, the file format was set to AIFF, and the output was 32-bit Linear PCM, but compressed (the afinfo utility on macOS shows them as AIFC). For v0.4.0 I switched to using AudioKit for post-processing. That resulted in accidentally outputting CAF files instead of AIFF. Sorry about that, my bad! I think I have now found a way to produce real actual AIFF files using AudioKit, but they are still compressed (unless I find a way to force uncompression). I suppose the problem with Lyra was just that the files were not really AIFF but accidentally CAF, and it should actually read AIFF and AIFC files just fine. According to afconvert -h it is OK to name AIFC files with the .aif or .aiff extension. Unless my reasoning is wrong, I will restore AIFF output in the next update. Thanks for the update. I've been cranking out quality AudioLayer instruments at a rapid rate from my AU Apps. Nice! AudioLayer seems to be a little more accepting with file formats. Thanks for the review BTW, appreciated.